Last Friday saw the return of the super popular Vancouver summer event: Playland Nights (19+). Whether you are looking for a fun activity with friends or a cute date idea, Playland Nights is great way to celebrate at the end of the week. This isn’t an ordinary night at the amusement park… There’s are DJs bumpin’ tunes, an axe-throwing challenge*, and multiple bars with hard lemonades, candy floss vodka martinis, and champagne cocktails! This year’s event features 2 additional entertainment options: challenge your friends to a virtual reality racing game* or if sultry glamour is more your taste, then take in the talented performers at the Kitty Nights burlesque shows (4 shows nightly at 8, 9, 10, 11pm). If you want to take the experience to the next level, grab a VIP Pass which gets you express park entry, allows you to skip the line (once) at ten different rides including the Beast and Wooden Roller Coaster, plus exclusive access to the VIP Bar! Check out the top 5 Instagram posts from last week’s #PlaylandNights event! 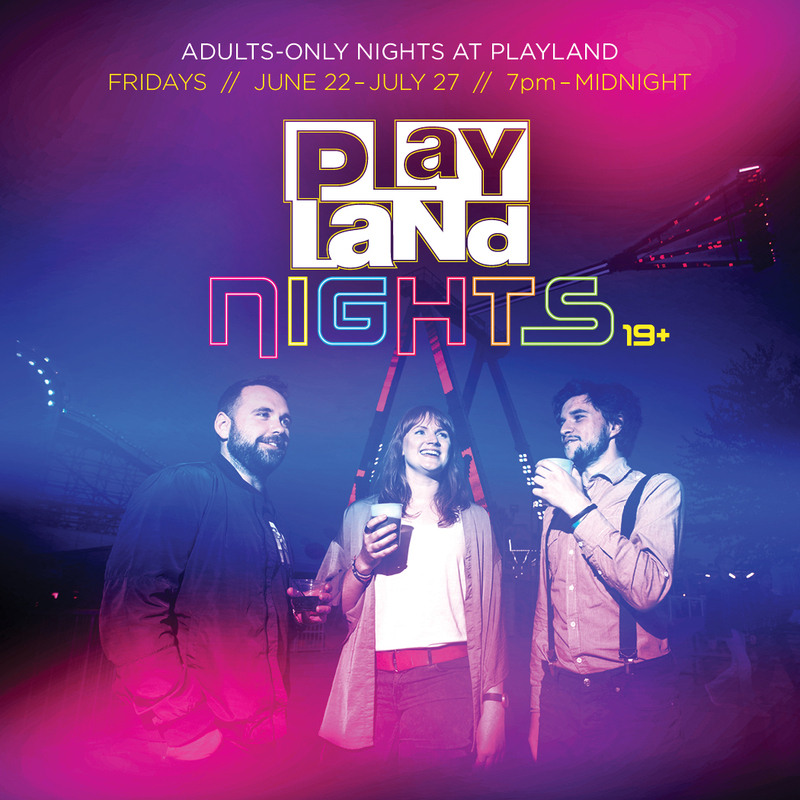 If you’re attending an upcoming Playland Nights, use the hashtag #playlandnights! This entry was posted in Playland. Bookmark the permalink.